One of the recently-posted job listing reveals that the software giant Microsoft is planning to port its Xbox LIVE gaming portal to iOS and other such platforms. It is important to note here that iOS has recently got s new Xbox LIVE app but the gameplay section is still a part of Windows Phone 7. Over the last few months, Microsoft has been showing its keen interest in the App Store and Xbox LIVE app, the famous Kinectimals game and a SkyDrive client are clear examples of its efforts. It seems that Microsoft is pushing it efforts further to have its role in the App Store. 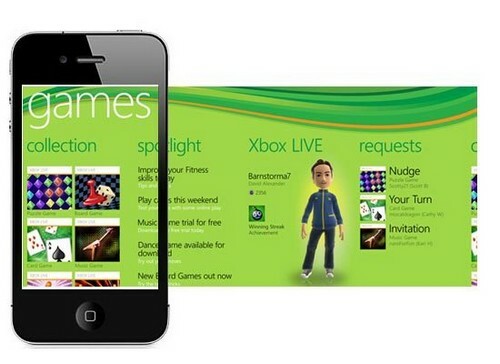 This move of the software giant has amazed many people, as they thought that the full Xbox LIVE integration was solely a WP7’s advantage over the competition. However, contrary to this, Microsoft is perhaps thinking the other way that its OS isn’t getting much response from the customers – a bit more realistic approach from Microsoft this time, I must say. Xbox-playing iOS users will certainly be happy on hearing this news. The marketplace of Xbox LIVE is home to thousands of downloadable games of which many are absolutely free or inexpensive otherwise. Now all eyes are on the day when we will be able to start playing a game on our living room console and end it up on our handsets while on the move.